Nowadays, searching becomes a lot easier. People all over the world already have an access in the worldwide web or commonly known as the Internet. Humans wanted to get information faster and now it can easily be done with a swipe of your finger or a click of a button. Search Engine Optimization also known as SEO is an art of developing a web site. SEO is also the process of improving the visibility of a website in search engines. 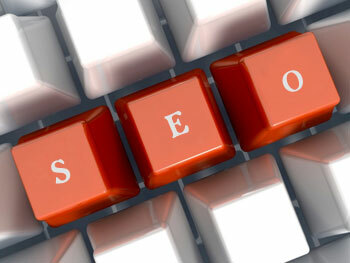 Putting additional key phrases or keywords into a web site is a kind of SEO. SEO will guarantee that your website will be on the topmost visited website in the Internet that individuals will use. The majority of the SEO users choose a few websites wherein they will find what they are looking for. Twenty years ago, the growth of online searching is very fast. When the World Wide Web first introduce in 1991 search engines were created. From then on search engines had develop according to the new norm that being set in the web world. There is also what we call Spiders which search engines had programmed. Information is pulled up by the use of indexer where the data has been stored a variety of information for the search engine. Algorithms and Meta tags were used in the early SEO files. A procedure that is being used in a particular task is called Algorithm. This is a very complicated kind of programming common to most computer applications. On the other hand, a Meta tag is a part of Website’s HTML code. Together, algorithms and Meta tags work to make and access data in a Web page and aide in categorizing the information from the search engines. Meta tags are upgraded with the latest technology so that it can process the keywords input into the search engine. In the year 1997 John Audette and Bruce Clay were the first people using the term search engine optimization until it became a famous and commonly used term. It was in 1998 when Google developed and joined the search engine arena and takes a lead in the market share of search engines in the industry. In order to have a fast and user friendly internet searches, web developers who are concerned with SEO work together. In 2005 the annual conference called Air Web to talk about the bridge about the services that they will cater and to create plans useful enough to stop further concerns. They have to work hand in hand both the designers and companies to work together to achieve optimum success, aside from that every individual uses the internet will surely benefit too. Search engine optimization will always be there. Continuously it grows and adopts changes and meets the demands of marketing, consumers and basically the online market.